Home » Risk Management » Is Negativity Really Awesome? 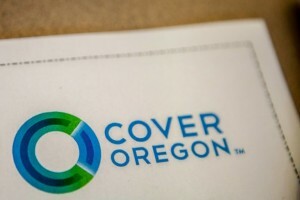 Last March, Rocky King, executive director of Oregon’s health insurance exchange, predicted that Cover Oregon was about to become the pride of the state. “This is an incredible project” he told … a local health-care news site. … “The state of Oregon is leading the nation,” Carolyn Lawson, chief information officer for the Oregon Health Authority, told legislators in 2012. “According to the feds, we’re easily nine months ahead of any other state.” … Cover Oregon has certainly attracted national attention since the exchange went live. The wrong kind. Its online enrollment systems still isn’t working, though the exchange did try a partial relaunch on Feb 18. … The most amazing part of this whole story is that King and Lawson were told this would happen. … Maximus, the consulting firm hired to provide oversight, warned as early as November 2011 that the project was already running late and had insufficient management controls. … As insane as it seems, it’s possible, even probable, that King and Lawson actually believed all was well. It’s not as if they had much to gain by launching a nonfunctioning website. … Why did they try to shoot the messenger instead of listening to the message? One answer is that’s what organizations do — especially dysfunctional organizations. … Talk to turnaround experts, or read a little history, and you’ll hear this story repeatedly: There were people who raised the alarm, and they got shouted down. Why Negativity Is Really Awesome, Megan McArdle, Bloomberg Businessweek, Feb 24, 2014. The Affordable Care Act has given us a lot of good examples of … bad projects. What always strikes me after over 35 years of doing this stuff is that we continue to make the same type of mistakes. Technology has advanced, people are more educated, we’ve improved how we manage things (or so we claim) but when it comes down to it, we consistently see the same issues, especially when we get ourselves into situations where we over promise and then look the other way hoping that it will actually come out good enough. What I liked about the reporting in this story was the notion that if we just listen to our naysayers, then that is the solution. We’ll find and fix our problems. On one level I agree completely. There is always someone saying something is going to go wrong. I often suggest an exercise and that is to log all the claims of what is going to go wrong and then check them off if they happen and review the rest of the claims at the end and compare. Think of this as an extension of risk management. What we find is that there is always someone saying there will be problems. As equally important is that as we’ve improved an organization, got them to change they way they do business, we always get someone telling us that it was not going to work. I’ve stood up in front of a customer along with another project manager and briefed the customer on how we did on our projects. I had been told at the beginning of my project by a manager from that other project that I needed to pattern mine after their project that had already kicked off. If I didn’t, I was told, then we would fail. Instead we got complimented by the customer for delivering on time and with good quality while the project I was suppose to mirror was months late and got grilled by the skeptical customer that they’d ever be getting a fully functioning product. So sorting out both the positive and negative feedback is an important part of what a project manager must do. It is not as simple as just responding to the negative comments or being hyper reactive to any negative comments. If we were, then few projects would ever get started. I painfully recall managing a project that I quickly lost control of. I lost control of it because I reported we were slipping further and further behind early on in the project, but nobody wanted to hear that. Ultimately, the project teams were told to no longer report the details of their progress to me but to another project manger who would simply report if the project was on schedule or not. He reported they were on schedule right through and including the three month slip to the delivery date. We’ve been successful with just being brutally honest in our reporting of progress made and risks faced. When we’ve done this the data pretty much spoke for itself. We could see what was going right or wrong as opposed to what people thought was going right or wrong. It was not an argument over whose opinion carried the most weight or the social status of the issue raiser. Overall, I agree with the notion that we need to pay attention to those folks with negative opinions. However, I like to treat these similiar to any other risks including tracking how predictive they are. Often, the negatives are not predictive at all and often they are the same negatives repeated each time. However, in organizations that don’t regularly deliver projects on time with good quality, we’ll clearly see feedback both in hard data and in expressed opinions that showed us what was wrong and suggested how to fix it. If the organization is not so dysfunctional that it can digest this information and act on it, then we can rapidly improve our performance. If the organization is stuck in a denial mindset, then we should remain persistent and objective and hope to wear them down with time. We can also tell them forcibly and publicly they don’t know what they are doing and to get out of our way, but while that has worked for me on occasion, it is not for the faint of heart nor for someone looking for rapid promotion and longevity within a traditional bureaucratic and political organization. But it is awesome when it works. One other way is to recruit to multiple levels of the organization like-minded people who really want to make a difference. If we can find enough of these folks, we can often leverage the organization into the right direction which often means moving certain people into and out of key positions. However, don’t forget to Mix It Up when looking for people to help us change. How do you make use of the negative things you hear about your project?